With all the advances in modern dental care, tooth extractions are mostly a thing of the past. At Dental Care Today in Fishers (just east of Carmel), we will do everything in our power to save your natural teeth, and offer an extensive variety of dental services that make the necessity for a tooth extraction unlikely. However, we make our patient’s health and happiness our number one priority, and in some cases, it may be necessary to have a tooth pulled to preserve your overall well-being. Your wisdom teeth are in jeopardy of becoming impacted. Your tooth is in such a bad state of decay that it must be extracted in order to protect your surrounding teeth. Your tooth is jeopardizing the health of your other teeth in another way. 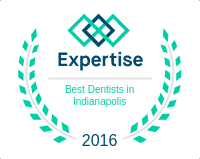 If you need a tooth pulled, Dr. Behner can offer gentle, high quality care at his Indianapolis practice. He has the skill and the experience to professionally extract your tooth, and can offer you a meaningful restorative dentistry option to give you back your full smile after the tooth extraction has been completed. Dental implants and dental bridges are both available, and can give you back your full, beautiful smile after the visit to the dentist is complete. For patients who need a tooth pulled, we offer a calm, and comfortable environment, and a sympathetic, caring staff. For patients who are concerned about a tooth extraction procedure, we offer a full range of sedation dentistry options including laughing gas, oral conscious sedation, and IV sedation. 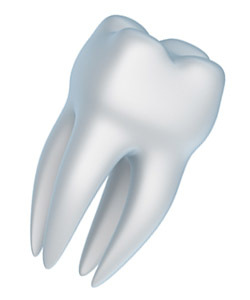 To find out more about our tooth extraction process, you can call us at our office. We would be happy to answer any questions you might have, or to get you in contact with Dr. Behner. Call us today, or come into our office in the Indianapolis area to schedule an appointment if you are in Fishers or Indianapolis.